With a population of nearly 84,000, the City of Bloomington includes 23 square miles and ranks as Indiana's sixth largest city. 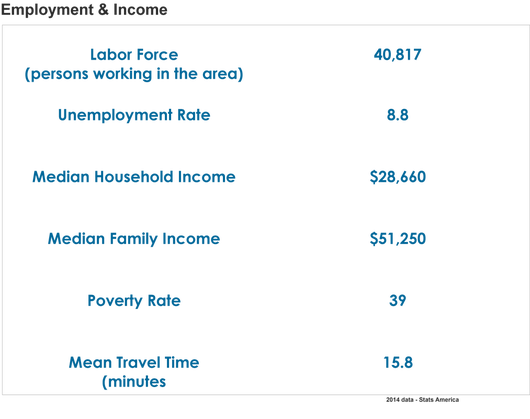 Bloomington is the County Seat for Monroe County, which has a population of 165,577. With a foundation built on the limestone industry, Bloomington has moved through each decade, evolving and bringing with it life sciences and technology. Read more about our bright future by downloading a copy of "From Cutters to Coders" which allowed Bloomington to be name Indiana Community of the Year. The 1979 film Breaking Away was filmed in Bloomington and followed four local, working-class friends as they come of age in Bloomington and attempt to make dreams come true when they compete in I.U. 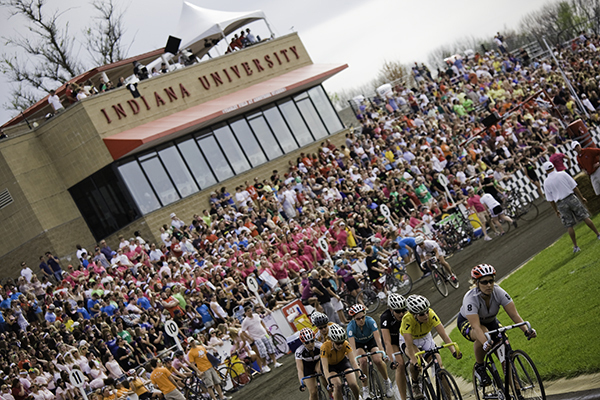 's annual bicycle endurance race, The Little 500. 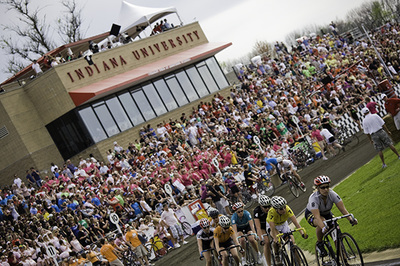 The Little 500 is held annually during the third weekend of April at Bill Armstrong Stadium on the campus of Indiana University and is attended by more than 25,000 fans each year. 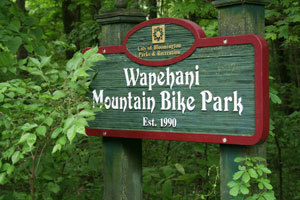 Bloomington is recognized as a Gold-level "Bicycle Friendly Community" by the League of American Bicyclists for "longstanding commitments to providing safe accomodation and facilities for bicycilists, and for efforts to encorage bicycle travel for transportation and recreation. 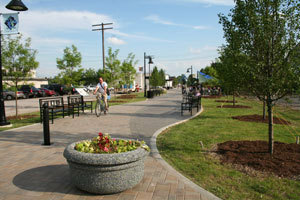 Blooming was the first League designated "Bicycle Friendly Community" in Indidna, and the highest rated community in eastern United States. 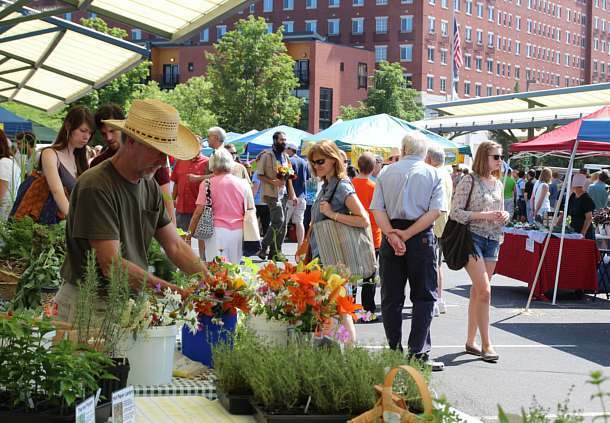 This Saturday event is where locally grown and prepared foods and vegetables intersect with entertainment, crafts and fun. 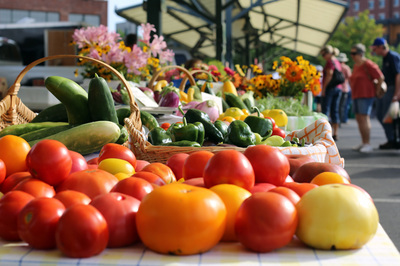 The Bloomington Community Farmers' Market is open every Saturday from April through November. Fall hours in October and November are 9:00 a.m. to 1:00 p.m.
Tuesday Market, the weekday version of the Bloomington Community Farmers' Market, is held from 4:00 - 7:00 p.m. each Tuesday from June through September. Tuesday Market is located at the corner of Sixth and Madison Streets, next to Bloomingfoods Near West Side.